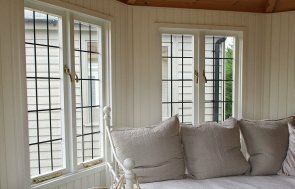 Situated in our customer’s pretty garden in Beckenham, Kent, this Blakeney Summerhouse has been installed to give them a peaceful garden retreat to relax in during the summer months. 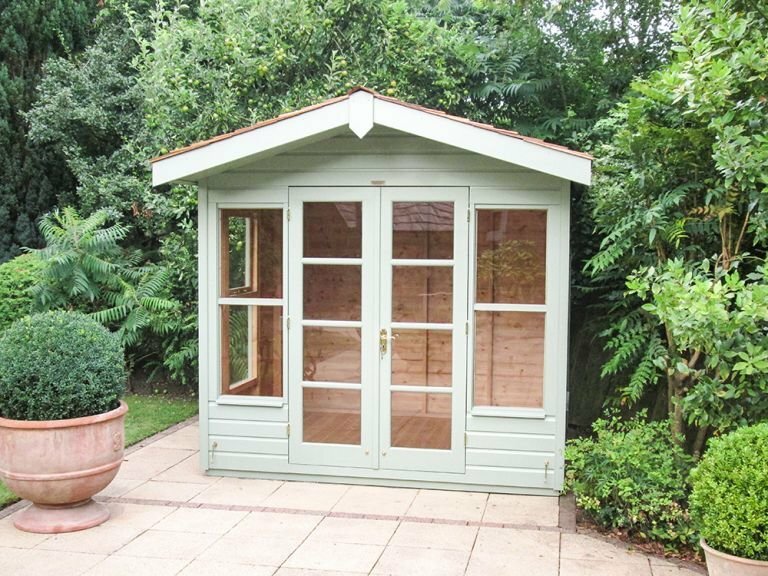 At 2.4 x 2.1m in size, this is a small summerhouse that fits perfectly in the space they set out for it. After initially wanting the Blakeney to be 2.4 x 2.4m, they then asked us to make it smaller, making it a bespoke size, which we were happy to do. 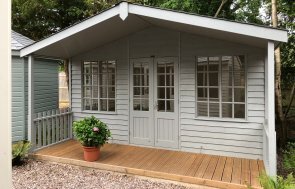 Cedar shingle tiles on the roof, and Valtti paint in the colour Lizard give the outside of this summerhouse a wonderfully natural appearance that allows it to blend in with the rest of the garden. Fully glazed double doors and four windows will allow plenty of light inside their retreat, and will also give them a good view of their garden from inside. 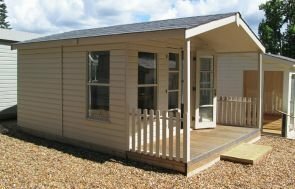 For more information on our lovely range of summerhouses, please contact us online, call us on 01760 444229 or come and visit our Surrey based Show Centre to view the range yourself.